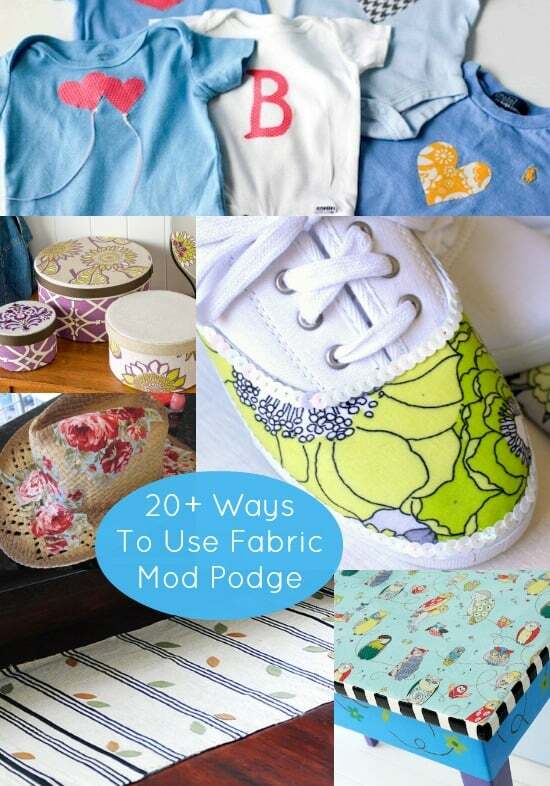 Have you been wondering what you can do with Fabric Mod Podge? Here are over 20 projects ranging from fashion to gifts to home decor! Check out the ideas, then scroll down to the bottom of the post to see a video of three bonus ideas made using this amazing formula. Since I like to keep all of you happy, here are over 20 ways to use this amazing formula! A lot of people think it's only for attaching fabric to fabric, but you can do so much more with it. I use it to prepare fabric for furniture, to attach fabric to wood, for accessories, for shoes and more! If you do attach fabric to fabric with this formula then it's washable (as long as the fabric is washable), which is pretty amazing. And if you attach fabric to something else, this formula is very durable (more so that the original formulas). Let me know what you think, and I have to ask – which Fabric Mod Podge project will you try first? 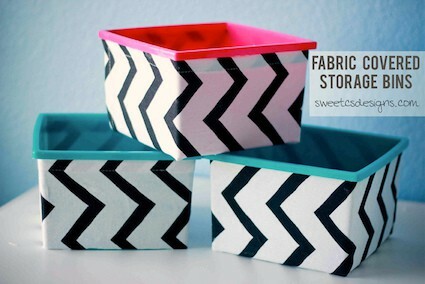 Sometimes it's nice not to have to use a sewing machine – Courtney covered these budget bins without one. Courtney used fat quarters to make this easy and colorful wall art for her baby's nursery. 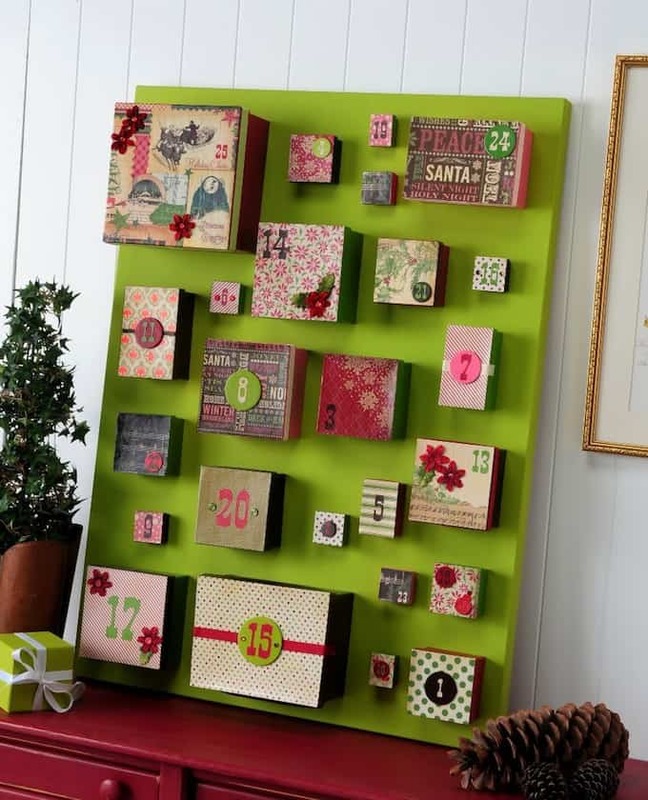 This is a great project to make with scraps! 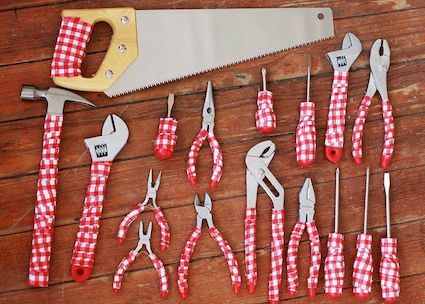 Make your tool set a bit more feminine and/or personalized by adding fabric strips in gingham. I recommend using an additional sealer if you try this to make the tools even more durable. Revamp a fun cowboy hat with large floral patches – and Fabric Mod Podge. 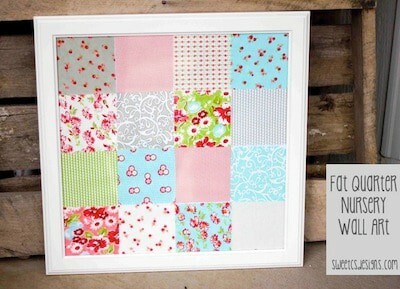 This is another fun project to make with scraps! 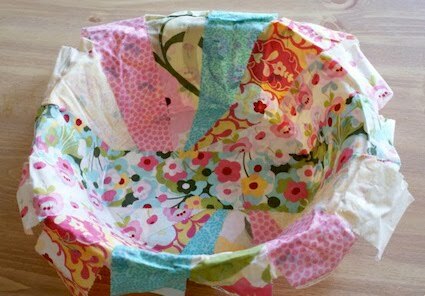 Use fabric strips to create durable bowls to hold candy and other accoutrements. Ready to give your car a new lease on life? Add fabric to the side panels and spice things up. You'll certainly have the most unique car on the block! 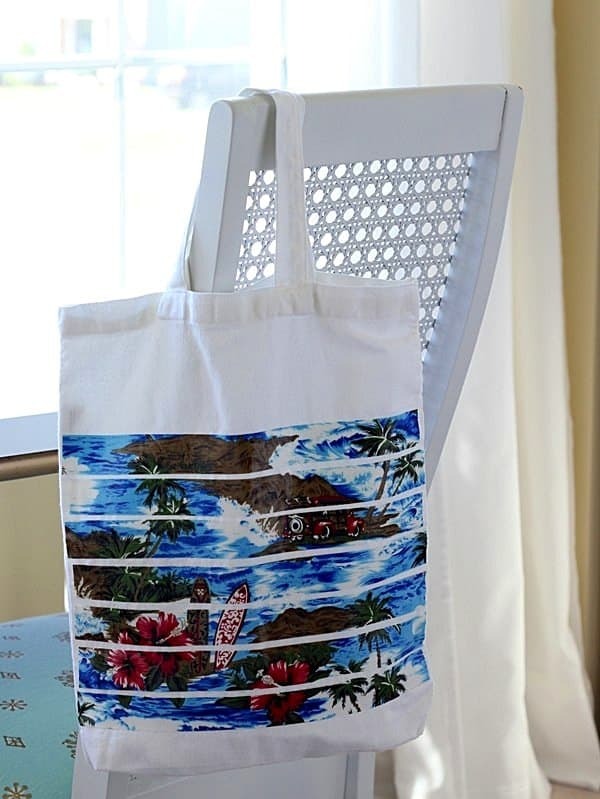 Use Magnum PI style beach-y fabric to embellish a plain tote. You can use random fabric strips, or make a “photo” style that is supposed to go together like we did here. Turn baby boy onesies into a girl's wardrobe with Fabric Mod Podge and scraps. What a great way to extend the life of baby clothing. Use Fabric Mod Podge to create screens – and do your own DIY screen printing! You're going to be shocked when you realize how easy it is, and what you're going to use as part of the process. 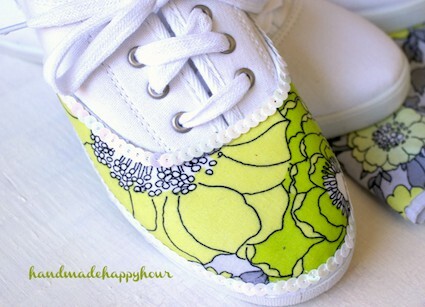 You only need a few supplies and some Fabric Mod Podge to make a custom pair of sneakers! Cathie is probably the best at adding fabric to shoes of anyone I know, so you'll definitely want to see her tutorial. You can make this cute pendant using any one of your favorite stamps. 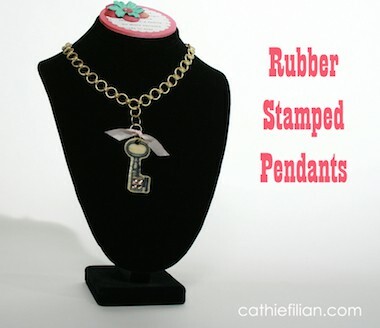 I find it ingenious that a stamp was turned into jewelry! You're going to love this idea. 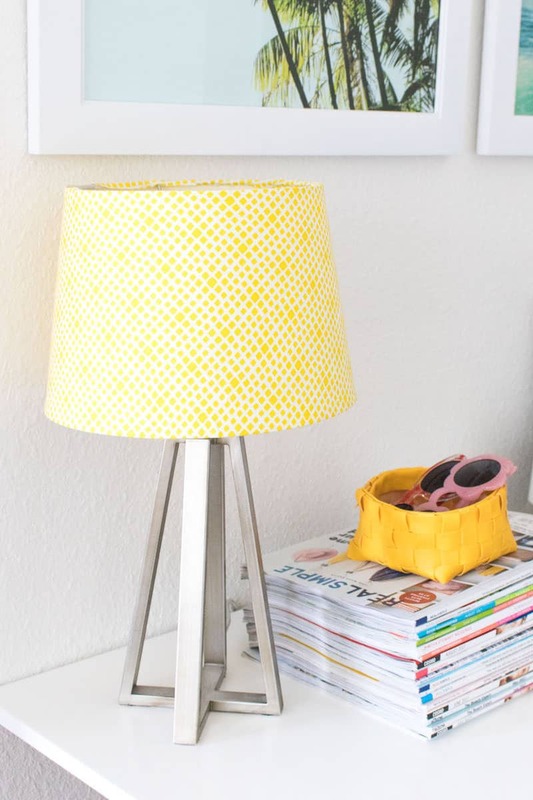 It's easy to update a plain lampshade with fabric! 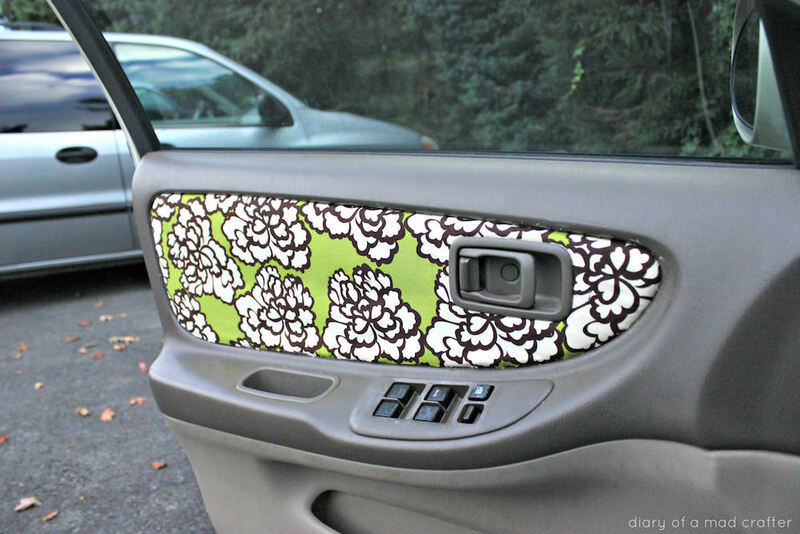 You can do this with regular Mod Podge, but Fabric Mod Podge makes it much more durable. 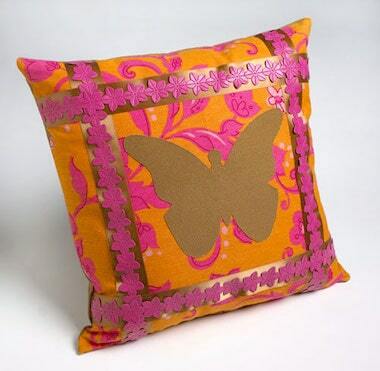 You can add a fabric applique to personalize the front of any plain pillow. This is one of my favorite ways to use fabric and Podge together! 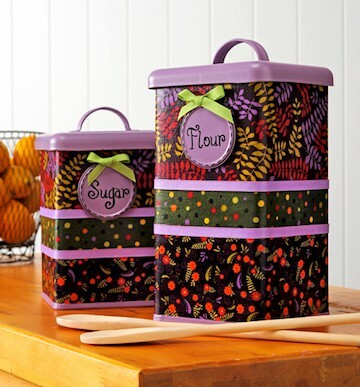 Debbie made these old kitchen canisters extra durable with spray paint, fabric and Fabric Mod Podge. 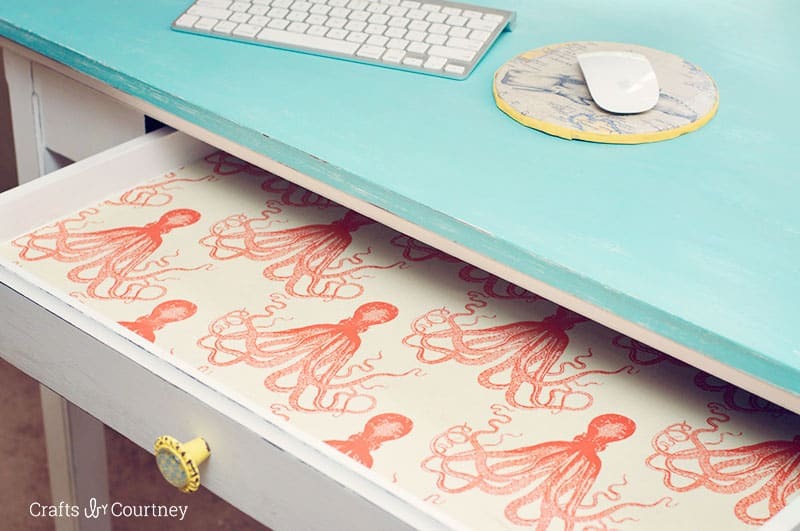 Use Mod Podge and your favorite fabric pattern to create these unique fabric lined drawers – I love the special surprise every time you open one! Don't be afraid to put a bird on it! 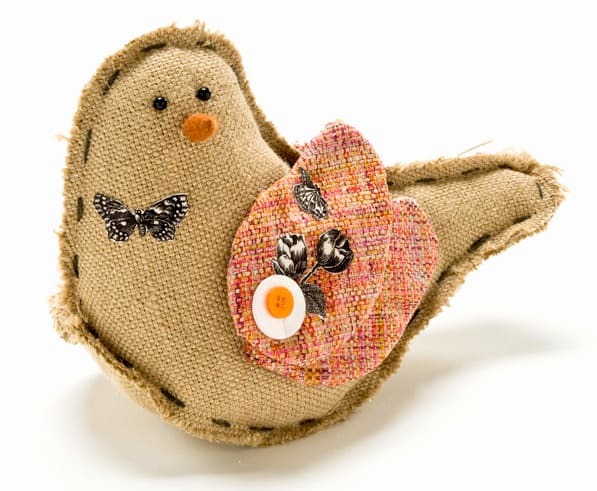 Make a teeny bird out of burlap – and then add cute embellishments with Fabric Mod Podge. 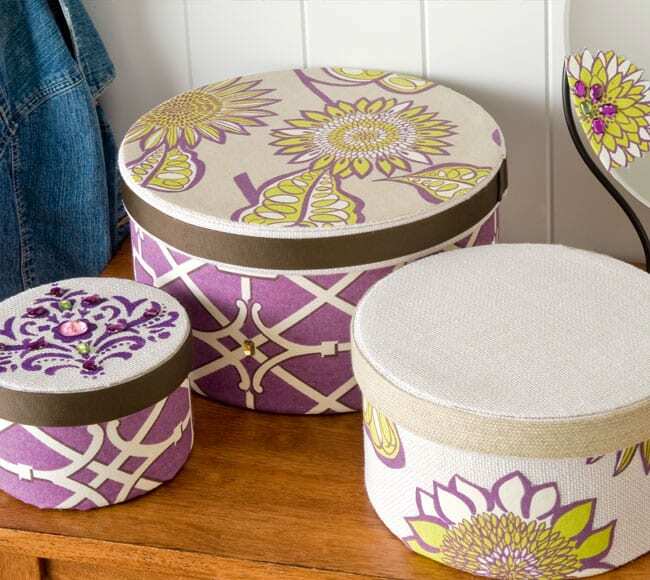 If you want pretty storage, these decoupaged and stenciled hat boxes are perfect. Such a nice way to store things in your closet or craft room! 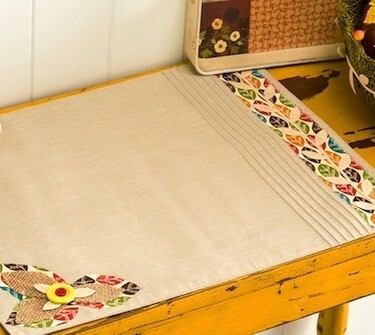 Add interesting details to boring placemats using fabric strips, burlap and buttons. You can customize these so that you can use them from September through November. 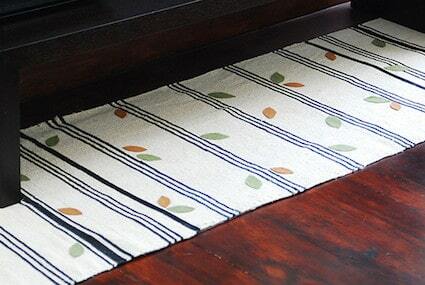 Clara sewed several IKEA rugs together and added accents with Fabric Mod Podge to make her custom runner. I used Fabric Podge to prepare the cute owl fabric that I put on the top of an old table. This made it much easier to cut and finish out the project. 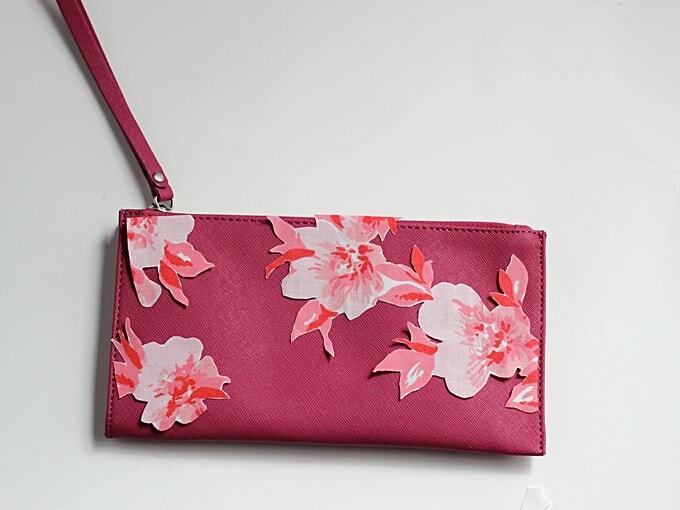 Use a vintage sheet and decoupage medium to make this fabulous purse refashion – it's such an easy craft project, and very budget friendly! Are you ready to see a video with three bonus projects?? Simply press “play” below! 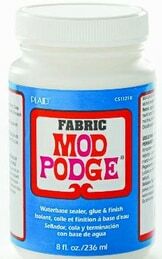 Love me some Mod Podge for fabric!!! I have made shirts for my grandsons, onesies for my granddaughter and even shirts for my hubby and sons!!! 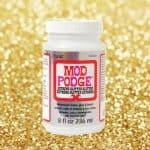 Such a versatile and fun product to work with because I can do ANYTHING with my Mod Podge products!!!! Thanks for all the great ideas! I love the lamp shade idea!! I HAVEN’T EVER USED FABRIC MOD PODGE BEFORE – HOW IS THIS POSSIBLE??!! I have been putting fabric on glass plates with matte and gloss Mod Podge and am having trouble with finish. Would Fabric MP work better? Do you sell it and how much is it. 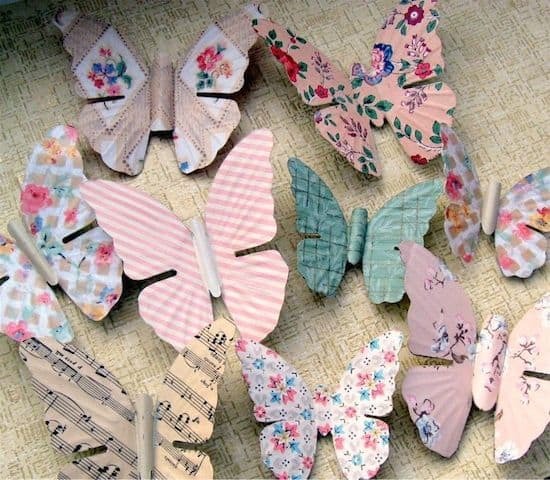 I have been using Mod Podge for years doing decoupage and love it !!!! Hi Betty – what problems are you having? Fabric Mod Podge is the same consistency so won’t work any better. 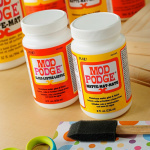 So what is the difference between Fabric Mod-Podge and regular Mod-Podge. I’ve been using the regular stuff on fabric for years without a problem. Do I HAVE to use Fabric Mod Podge, or can I use the Original formula? Fabric Mod Podge is really tough, very durable AND it’s washable. So I always use it for projects that need to be durable – like clothing, accessories and furniture. 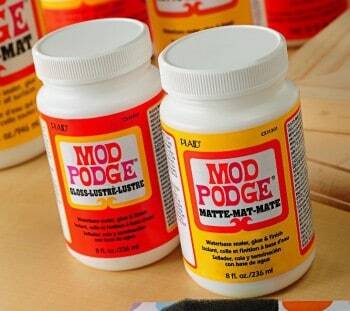 If you are just Mod Podging fabric to letters and hanging them on the wall, you don’t need to use Fabric Mod Podge. If you are using Mod Podge on fabric-to-fabric (for instance, gluing a patch to a shirt) then yes, you should use Fabric Mod Podge because it is washable. If I treat my fabric with the fabric mod podge, is it still sewable? I want to make appliques. Audrey – maybe. You could try an upholstery needle. It really depends on the fabric. I’d give it a whirl with a strong needle and just assume you might break it (also go slowly).